What is Disordered Eating and Why Should We Be Worried About It? Disordered eating is a serious health concern that receives little attention. While most people have heard of eating disorders such as anorexia and bulimia, disordered eating is a different, but still very serious, mental health concern that is little publicized. So what is disordered eating, and why should we be worried about it? 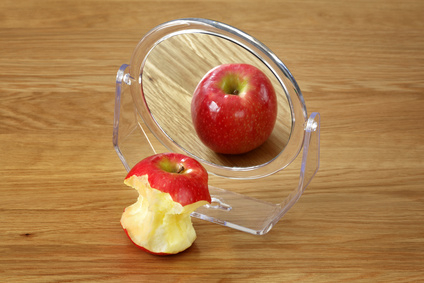 Disordered eating is defined by the Diagnostic and Statistical Manual of Mental Disorders (DSM-IV-Text Revision) as “a wide range of irregular eating behaviors that do not warrant a diagnosis of a specific eating disorder.” It includes pathological dieting, a rigid and unhealthy diet and exercise regime coupled with feelings of guilt if these habits are not kept up, a pre-occupation with food, exercise, and body image that has a negative impact on quality of life, compulsive eating, emotional eating, compulsive exercising, and occasional use of exercise, fasting, or purging to make up for food that has been consumed. People with disordered eating often feel shame, guilt, and distress about their body and about eating. People suffering from disordered eating patterns may not fit within the very specific criteria necessary to classify them as suffering from anorexia nervosa or bulimia nervosa. Nonetheless, there are very real concerns associated with disordered eating as it can have a significant impact on a person’s mental and physical health. Physiologically, disordered eating can lead to gastrointestinal problems, electrolyte and fluid imbalances, low heart rate and blood pressure, and even bone loss. Psychologically, it can lead to anxiety, depression, and social isolation, or it can develop into a more extreme eating disorder. However, many people who suffer from this affliction do not recognize it as a problem, or appreciate the negative effects that can occur as a result. Furthermore, it is often difficult to recognize or diagnose because it does not display the same classic symptoms of anorexia or bulimia nervosa. Sadly, disordered eating and extreme weight-loss regimens have been normalized by our culture. Dieting, clean-eating, detoxing, calorie-counting, compulsive exercising, and many other behaviors are commonly used to help people lose weight and achieve optimal health. In many circumstances, these behaviors do not create any cause for concern. However, in some cases they cross over into the category of disordered eating. In those cases it is crucial that they are recognized and treated before they become full-blown eating disorders, or have a very serious impact on a person’s mental or physical health. In so many cases, disordered eating comes about as a result of the pursuit of “health”. People start out with good intentions, but end up becoming obsessive, rigid, and unhealthy. The reason I wanted to study nutrition and become a Registered Dietitian was to help people find a ‘normal’ approach to food – a ‘healthy’ approach where we eat to fuel our bodies in the best possible way with a variety of delicious, nutritious foods, as well as occasional ‘treats’, all consumed without guilt, shame, or anxiety. Disordered eating is the very antithesis of this, and needs to be recognized and corrected before it spirals out of control. What does ‘healthy eating’ mean to you?